Sunday brunch, Music by the Bay, and a marine science centre featuring aquariums and touch tanks teeming with colorful local sea life are just a few of the ways visitors of all ages can enjoy summer time at Vancouver Island University’s Deep Bay Marine Field Stat ion. Located about an hour’s drive north of Nanaimo in the community of Bowser, the field station is a key research facility for Vancouver Island University and is fast becoming a popular tourism destination for the region. 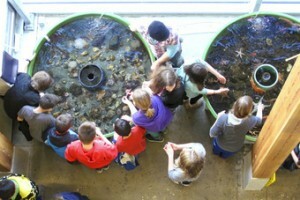 Open daily to the public from 10 am to 4 pm, the facility provides hands-on learning opportunities to educate school children, community members and other groups about marine life. It also supports coastal and marine research related to sustainable shellfish aquaculture development, preservation of coastal ecosystems and interdisciplinary projects involving local communities. Read more….